First up, a little addition to last week's roundup: On January 11, Fürstin Paula of Fürstenberg was laid to rest in Donaueschingen, Germany. Among the mourners for Princess Paula, who died at the age of 92 earlier this month, were several members of the Liechtenstein family including Prince Hans-Adam II and Princess Marie as well as Prince Nikolaus. 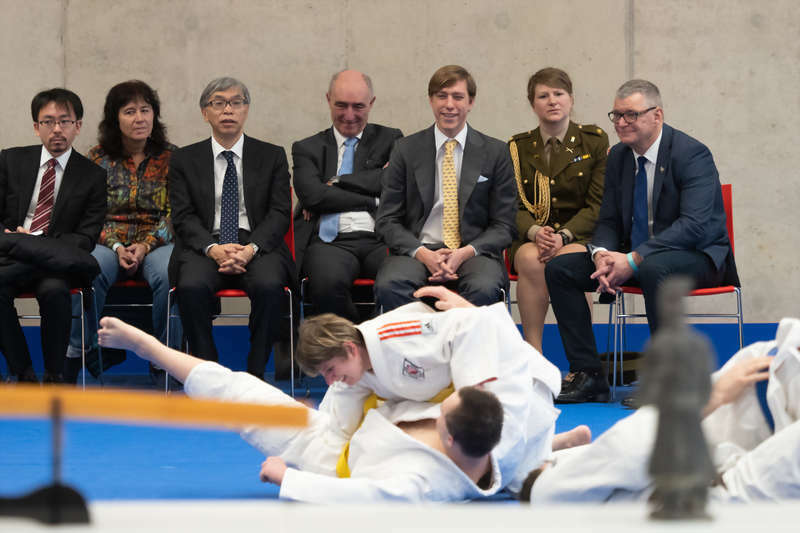 Prince Louis was back in Luxembourg on Sunday where he attended the Kagami Biraki festival 2019, jointly organised by the Interreg Judo Cooperation and the Luxembourgish Martial Arts Federation, and saw some fighting action. 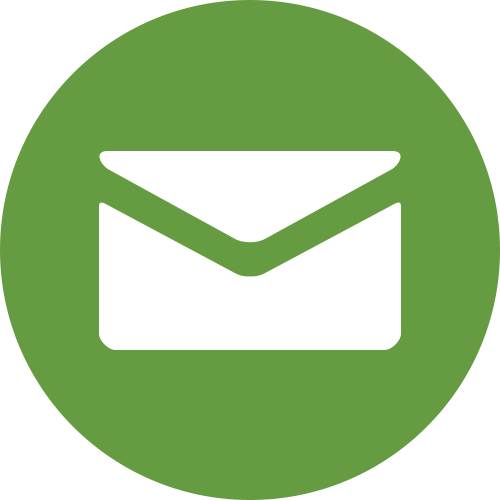 Prince Louis has been the patron of the latter since 2010. 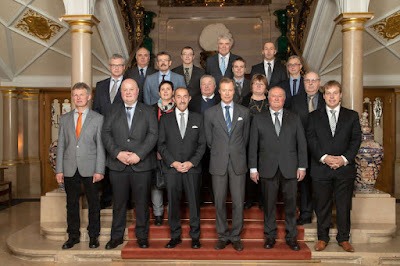 More pictures of the event at the cour. 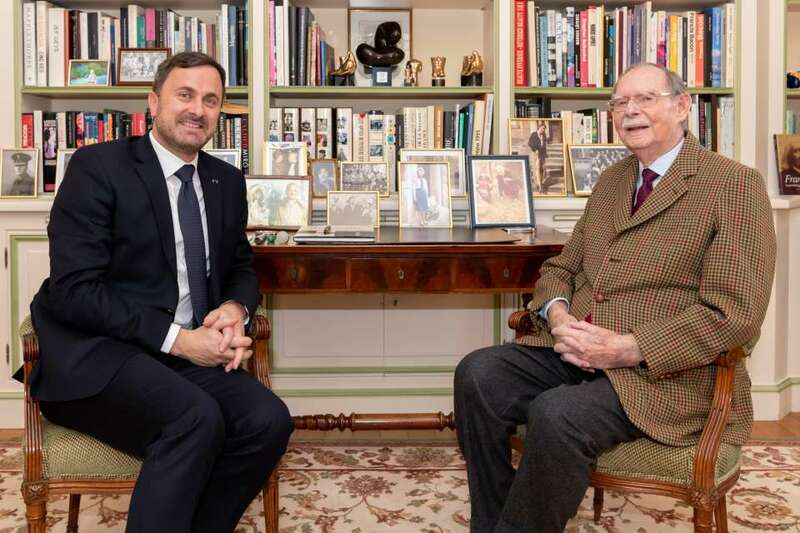 98 and going strong: On Tuesday, Prime Minister Xavier Bettel paid a visit to Grand Duke Jean at his home Château de Fischbach. While no details were released, I'm sure the Grand Duke Jean is still very much up-to-date on and interested in the state of government in the Grand Duchy and thus welcomed the visit by the PM. 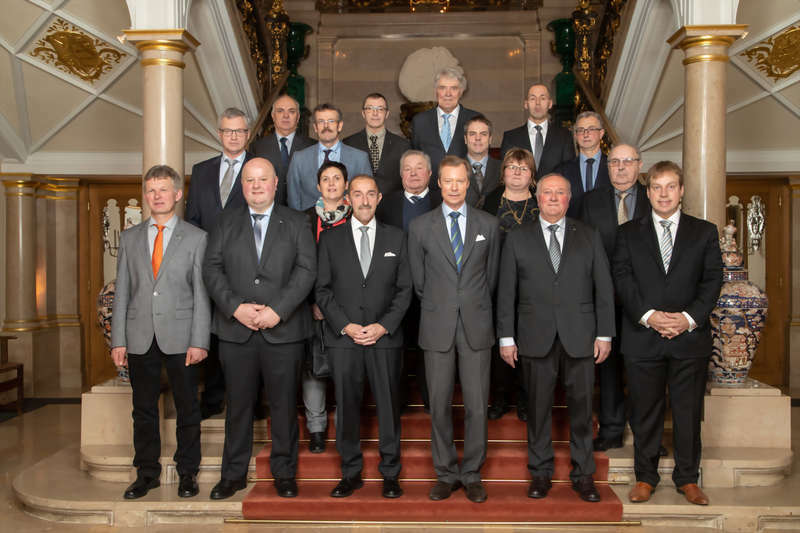 Also on Tuesday, Grand Duke Henri met with the committee of the Baueren-Allianz, or farmer's alliance, for some unspecified reason apart from the fact that they celebrated their 30th anniversary about a year ago in January 2018 - or is that a typo by the cour? If it is, I feel ya. On Wednesday, the funeral of Count Philippe de Lannoy, father of Hereditary Grand Duchess Stéphanie took place in the Belgian village of Anvaing. In attendance to support the Hereditary Grand Duchess and her family during these sad times were Hereditary Grand Duke Guillaume, of course, as well as Grand Duke Henri, Prince Louis and Princess Alexandra in addition to Prince Guillaume and Princess Sibilla, Archduchess Marie-Astrid with her mother-in-law Archduchess Yolande, and Princess Anunciata. Count Philippe de Lannoy passed away on Thursday last week at the age of 96. More photos at Getty Images. 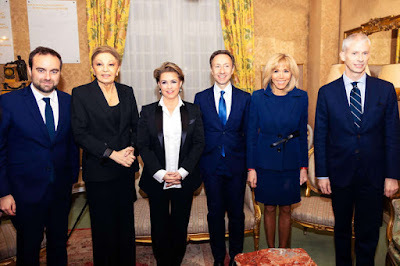 On the same day, Grand Duchess Maria Teresa was in Paris for a previously scheduled event, an award ceremony by the Fondation Stéphane Bern pour l'Histoire et le Patrimoine - Institut de France. The Grand Duchess handed out the History Award to Loris Chavanette for his book "Quatre-vingt-quinze, La Terreur en procès". The cour has more visuals and also stated the the Grand Duchess was sorry that she could not attend the Count of Lannoy's funeral but was present in her thoughts. More sad news for Hereditary Grand Duchess Stéphanie came later in the week: Her uncle, Dominique della Faille de Leverghem, younger brother of her mother Countess Alix, died on January 13 at the age of 72, as announced in La Libre Belgique. Our condolences go out to the family. Thursday saw Hereditary Prince Alois open Liechtenstein's parliament for this year with the traditional throne speech (and no, neither he nor his father have a literal throne to sit on while doing so). 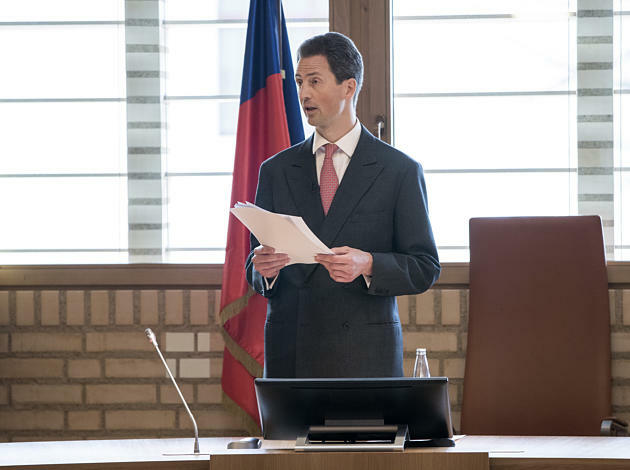 In his speech, the Hereditary Prince called on politicians and Liechtensteiners alike to unite and create a bright future for the country instead of becoming a nation of naysayers. 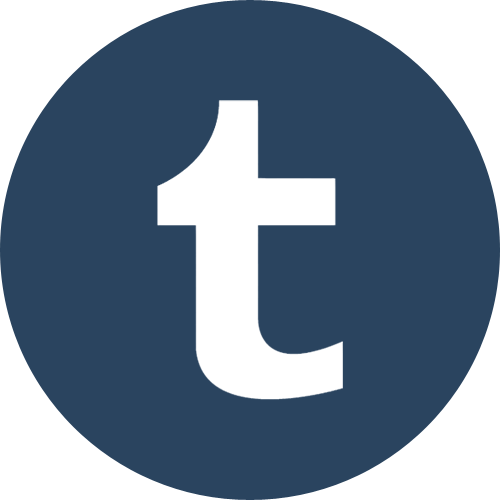 His full speech (as well as a video of the speech) can be found at Vaterland. Earlier today, Friday that is, Monseigneur le Grand-Duc visited the judicial authorities of the District Court in Diekirch. 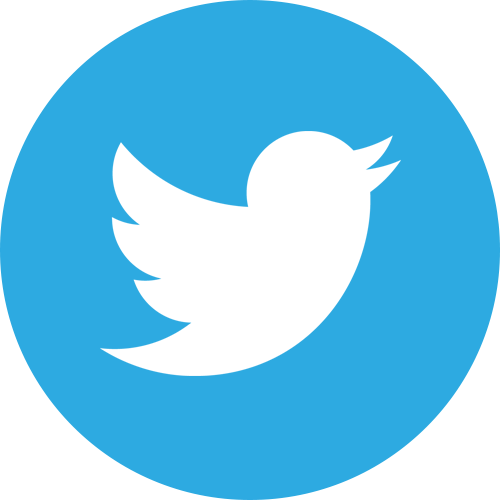 No pictures as of yet and also not pictures - because it is just about to start - of tonight's event: A concert celebrating the 100th anniversary of the accession of Grand Duchess Charlotte to the throne at the Église Saint-Michel attended by the Grand Duke and Grand Duchess. 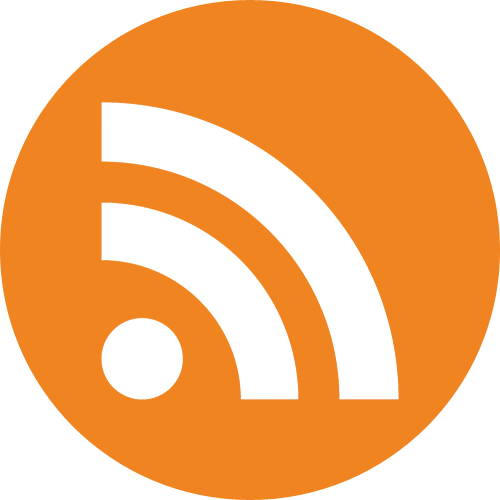 We will include both events again in next week's roundup.